Howlett; Howlett/Kool Keith/ Fine. In fine packaging. The Prodigy-Experience! ! by The Prodigy. Howlett; Howlett/Kool Keith/ Very Good. In very good packaging. 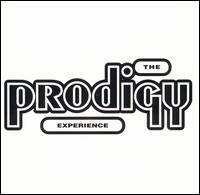 The Prodigy-Experience! ! by The Prodigy. Howlett; Howlett/Kool Keith/ Very Good. In very good packaging. Experience. Like New. The Like NEW CD plays Like NEW, the original artwork is clean and clear, it comes in a Like NEW Jewell case It is free from any foreign markings. Good. Music CD. Disc shows signs of wear but should play with no difficulty. In the event of a problem we guarantee full refund. Stored in sealed plastic protection. 1992. Music CD.